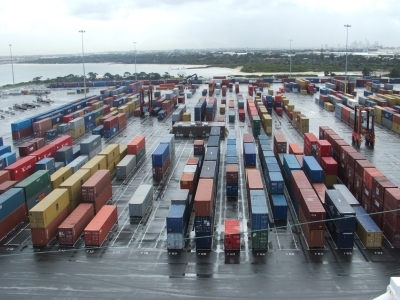 Customs clearance and freight forwarding specialist Platinum Freight Management is warning that the Christmas ‘striking period’ affecting importers and exporters has already begun for 2017, with five cases already reported as recently as Thursday in Port Botany. In addition, the brokerage has identified high-pressure scenarios for Australian Border Force (ABF) and the Department of Agriculture and Water Resources (DAWAR) that could incite strikes from workers in these departments also. “There is a significant risk to the free flow of goods through the ports from three fronts at this – the busiest time – of year,” warns Platinum Freight CEO Peter McRae. Cargo passing through ports is on the rise, adding fuel to the fire. In December 2016 there were 213,103 TEU [containers] passed through Port Botany, up 23,640 on 2015. It is anticipated that 2017 will be higher again. In addition, the Federal Government’s July 2017 move to change to the tax-free threshold, albeit without implementation, has led to unprecedented scrutiny of the ABF and DAWR processes and systems. “Departments are under extreme strain due to these pressures. It provides the perfect pressure situation that could give rise to additional strikes this year. We are seeing the perfect conditions for strikes relating to future operational issues for the ABF and DAWR,” Mr McRae said. While striking is an unknown variable affecting all importers and exporters every year, plenty of them still fall into the trap. Platinum Freight advises that the best course of avoidance is to book shipments early. “Negotiate shipping times with suppliers now in order to ensure stock is landed before strike action inevitably heats up. The smart importer should aim to have stock in transit to warehouse by the end of November,” said Mr McRae. The cost of strike action goes beyond the risk of getting stock on shelves late and therefore missing critical sales. While stock sits in containers on ships pending entry to port or sitting on the wharf awaiting processing, container rental fees from the shipping companies begin and continue to rack up. In addition, high wharf storage fees can and will apply, meaning importers are paying for goods to remain inaccessible due, in a situation beyond their control. Budgets are therefore put at risk. The most at-risk importers for customs clearance delays are always first-time importers. These businesses can expect additional checks on shipments that can set back clearance as much as three to five days, even before considering risks of Border Force strikes. This is unavoidable, so new importers are advised to work forward.